Although I concede that these would be great for travel--my first thought was--what a great way to store clothes you won't be needing until next season! 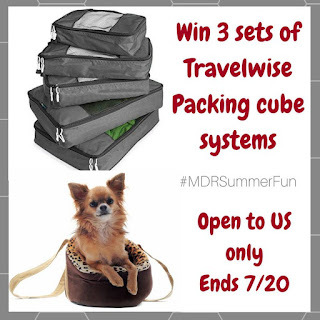 Be sure to click into Emily's review below to learn more about these travel cubes!! New deeper cubes! Maximize clothing per cube. Perfect size for that long weekend getaway! 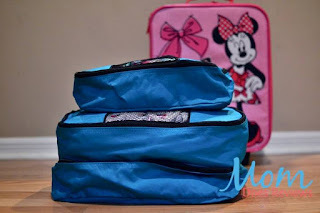 The TravelWise 5 piece packing cube set is a travel essential that allows clothes to stay folded and neat when packed in their own "small drawers". The cubes are fantastic for staying organized on short travels and long travels alike and help you avoid over packing. Constructed of lightweight, durable nylon, these multi-sized cubes allow you to compartmentalize similar items such as shirts, pants, undies and electronic accessories and streamline packing. The open mesh panel affords breathability and visibility--no more digging through luggage to find that elusive sock. Be sure to read Emily's review on Mom Does Reviews! 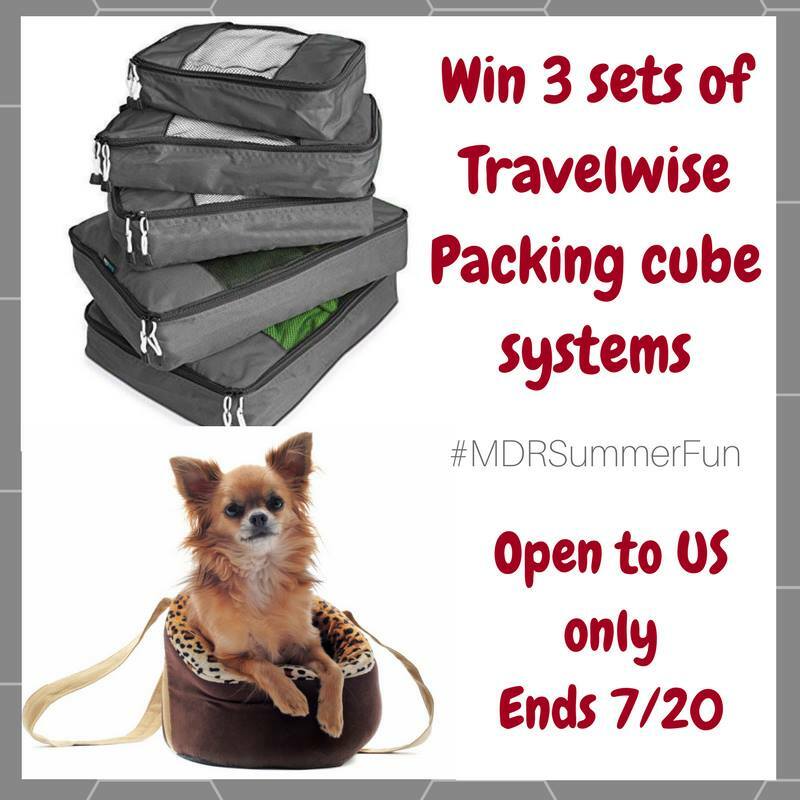 One lucky reader will win 3 sets of the TravelWise 5-pc packing cube system! My favorite place to travel to is to New England in the Fall to see the beautiful foliage. I like to travel to NC to visit my mom. We like visiting my aunt in Florida. That way we all go to the beach and are with family. We love traveling to hawaii. It is a magical place and is very special to our family. I love traveling the different island in the Philippines! I always love traveling somewhere new! Mexico is my favorite place to go, especially Puerto Vallarta.